Although I prefer my Wolves proper grey I think your test mini looks great. Especially liking your furs. Good luck with the army! Welcome to the Fang, look forward to seeing how you get on. LOL, cheers dude! Its quite a change from the Guard I usually collect! Will be a good challenge though! Awwww, but Wolf Banners and Mark of the Wulfen are where it's at..
mmmm yeah, they didn't do it for me, although i am a virgin Wolf Player, so what do i know! Besides, if i find i need Banners and Wolfen then it'll be an easy addition to make! I think it must be the Guardsman in me, making me buy as many guns as possible!! The fang is a fantastic read. 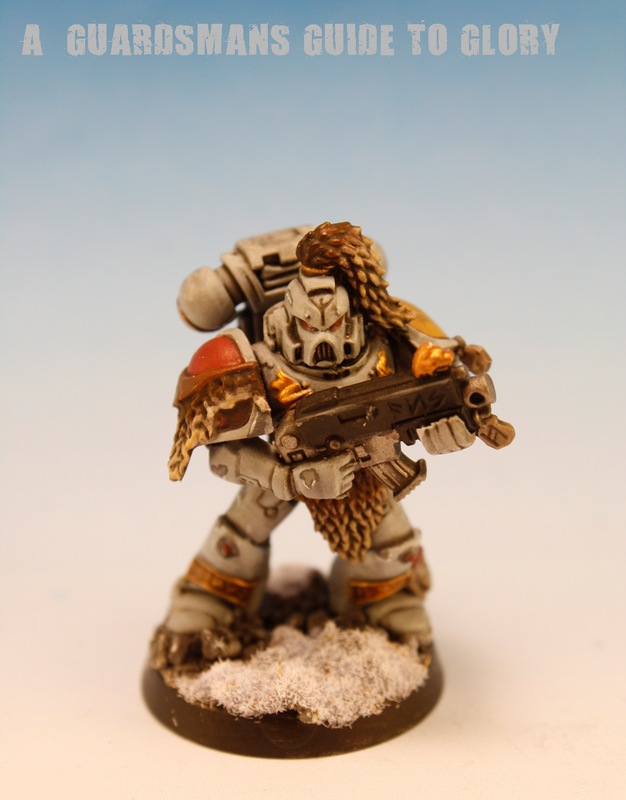 I have been on ebay for weeks picking up stuff for my new wolves army as well! I'll second the recommendation for banners and mark, banners especially. You have no idea how useful those re-rolls are (as long as you remember to re-roll them). -take a cyclone missile launcher"
Of course I have mine with a storm bolter and power weapon :(.